The idea was good, the execution started well but a 2hr simple comedy has been twisted to a 2:45 hr complicated tragedy. The Big B of Bollywood returns (after Bhoothnath Returns – his only flick of 2014) to team up with the Big D of Kollywood (Rajinikanth’s son-in-law Dhanush) and Kamal Hassan’s daughters Shruti (lending vocals) and Akshara (debuting as lead female) for Shamitabh. The producers’ list includes the Bachchans, Ekta & Shobha Kapoor, Dhanush, Director R. Balki and leading trader Rakesh Jhunjunwala. Can this elite list go wrong with their project? 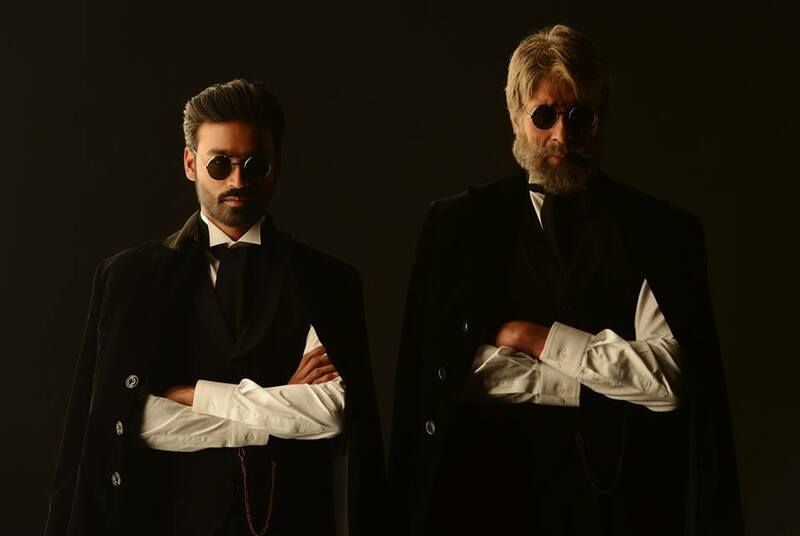 Here’s 5 things to look out for in Shamitabh and judge if it’s worth your time and money. 1. The Baritone: Self-belief does wonders. Five decades ago, Amitabh Bachchan was rejected for his heavy baritone by All India Radio. But he hung on and made a perceived weakness, his biggest strength. After attaining legendary status as an actor, the baritone gave weight to many narratives (Hrishikesh Mukherjee’s Bawarchi, Satyajit Ray’s Shatranj Ke Khilari, Krrish 3, Lagaan, Jodha Akbar, Kahaani to name a few). And even when his baritone was tampered with, he gave India a trademark “Haaain” (Agneepath, 1990). The man can make an odd error, but his voice is six sigma certified! A “Namaskar, main Amitabh Bachchan bol raha hoon” is enough to light up household television audiences (watching Kaun Banega Crorepati). Shamitabh is all about his baritone (and his initial real life struggles). The first half shines and rides on it… ‘Yeh awaaz ek kutte ke muh se bhi achchi lagegi’! 2. Dhanush: Dhanush is unarguably the best Indian actor amongst the current generation and single-handedly raises any script by few notches. He lighted up an average Raanjhaana, convincing viewers that an obsessed, unemployed, sadak-chhaap, wrist-slitting lover can be cute too. In Shamitabh, he convinces us on how an average small town boy with speech and hearing impairment can still make it big. He sets alight the first half and reminds every Moviemaniac of our growing days. 3. Ad man Balki: R Balakrishnan’s advertisements, over the years, have made strong impact to society – remember ‘Jaago Re’ series with Tata Tea? His first two directed movies (Cheeni Kum, Paa) had that adman edge and obsession. In Shamitabh, the edge comes with styling – specially Akshara’s unconventional heroine looks – reminds of young Winona Ryder. The obsession with words, though, goes overboard – making jingles with “bhabhi”, “thappad” and “piddly” – not withstanding unintended mock at falling quality of Bollywood song lyrics. Obsession with giving unwanted twists – the interval twist is too stretched and ending twist wasn’t required. 4. Music: Ilaiyaraaja has composed 5000+ songs and has a record of being the only composer in history of cinema to compose for 1000+ films. Shamitabh has decent music aided by vocals from Big B and Shruti, however in the second half, the drag is further stretched with unwanted music. 5. Torture second half: A script which Big B and Big D can’t lift is not worth making a movie on. The idea was good, the execution started well but a 2hr simple comedy has been twisted to a 2:45 hr complicated tragedy. The only line I remember about the second half is ‘Whiskey achanak bandh karne se liver ko shock me heart attack aa jayega’. Verdict: Average fare, go only for Big B and Big D! Box Office Prediction: Singapore Friday 9pm show had 80% full, but don’t get misled. 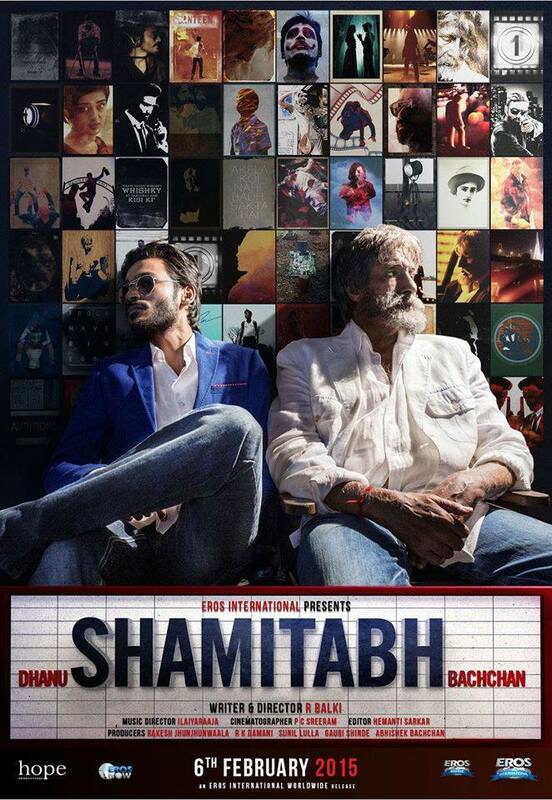 Shamitabh is targeted only towards metro and multiplex crowds. The elite list behind it’s making will ensure heavy word of mouth, but makers will be very lucky if they can recover even half of their 40cr INR budget. Previous Previous post: Travel Tip: Where To Holiday In Summer 2015?